Luigi on the ramp at SeaTac. Getting it off the freight tug was a challenge! 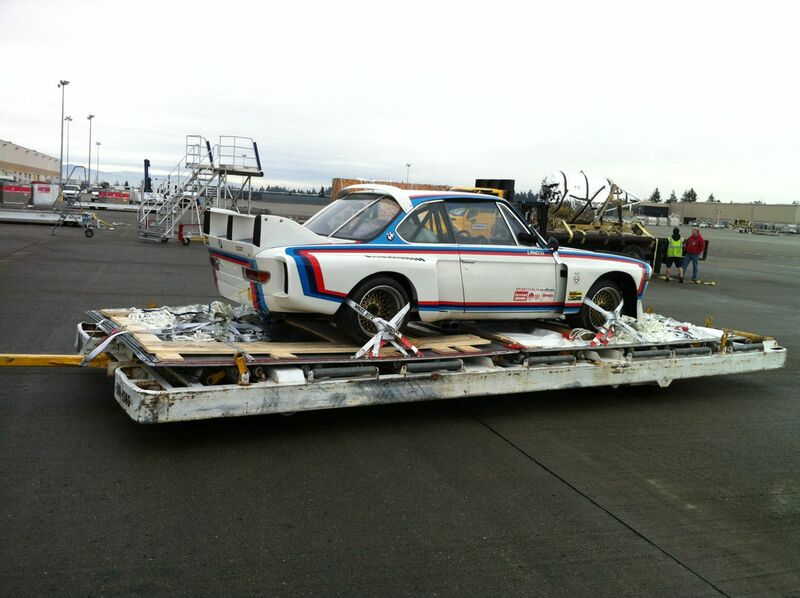 Some weeks ago I finalized the purchase of the Luigi Racing #001 BMW CSL. I had the car shipped from Italy, via London, to Seattle where we picked it up at the Customs warehouse. We like to hear which livery people like, Castrol black, or UFO Jeans candy stripes, so leave a comment.